ITS Tactical, Inc. is dedicated to showcasing the everyday gear that can help you live better on the tactical side of life. We don’t limit our content to any particular viewpoint, rather our goal is to become an open-source community of different methods, ideas and knowledge that could one day save your life. 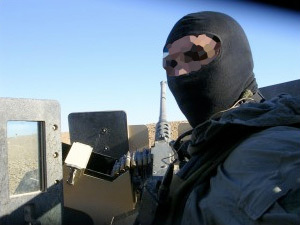 Started in early 2009 as a joint venture between Military Veterans and those serving in the Special Operations community, ITS Tactical has quickly grown into a definitive resource for skill-set information, tactical gear reviews and DIY projects. Are we biased with what we review? You bet. We typically don’t trash products on ITS unless there’s the potential that a failed product could cost someone in harms way, their life. 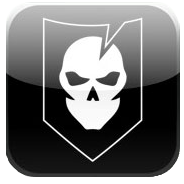 We draw from our combined military experience and our passion for all things tactical with the information we present. Recent tragedies have proven time and time again that when you most need it, help isn’t coming. Becoming self-sufficent goes beyond having a stocked pantry when a disaster occurs. Being mentally and physically prepared along with having the skills, tools and solutions to overcome imminent threats is at the core of all we do at ITS Tactical. We hope that you benefit from all that you read here. Get the Most out of ITS Tactical! If you haven’t already noticed, we’re pretty big into giving our readers as many opportunities as possible to follow our content. We’ve listed all the great ways you can stay in touch and connected below, and have provided descriptions of all these different options and what they all mean in an article available right here. In no particular order, here are all the ways you can stay connected. It may seem overwhelming, but it’s good to have options, right? At ITS Tactical we’re offering two ways to join our community and support all that we do here. Rather than simply asking for donations, we’ve decided to give back to our members that support us. You can join as a Crew Member for Free, or take advantage of our Plank Owner membership which is only available to the first 250 members. 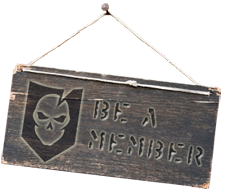 After our Plank Owner spots are gone we’ll be offering a Crew Leader membership without the awesome perks of our Plank Owner memberships and the notoriety of being one of the founding members of ITS. Our intent with guest posting is to learn more about our reader’s interests, and give those who have knowledge in a skill-set the opportunity to share. The discussion here has already been amazing, and we know what great readers we have. We’d like to hear from those who offer different viewpoints of the material presented here, so we can all learn and benefit. ITS Tactical was formed to build on the strong community that already exists within this industry, and to offer our experience and knowledge to everyone. We’d like to build upon that with your help. If you’ve got a great idea for an article, contact us! Give us a heads up on what you’d like to write about, and we’ll discuss the topic and a timeframe for getting your article published. Please read this article to find out more about our criteria and guidelines for submitting a guest post. Even if you’d like to write an article, but don’t have any ideas, let us know! We’d be happy to discuss some topics we’ve been kicking around. Also, if you’ve just got suggestions for things you’d like to see on ITS, either shoot us an email, or use the Get Satisfaction widget that’s labeled “Feedback” in the upper left corner of your screen, we’d love to hear from you. The skull in our logo represents the individual and the notch represents the information, knowledge and solutions being acquired. The shield symbolizes the defense against imminent threats, both foreign and domestic. Essentially you keep your eyes and ears open to absorb the information at ITS, hence the mouthless skull. Not that we don’t advocate expressing your opinion here, we always have. That’s why we value your comments so much, it helps us learn too. Our philosophy is that no one is above learning new things, or different ways of getting the job done. If you’re not learning something new everyday, then you’re doing it wrong. The information, knowledge and solutions you soak up at ITS enable you to better defend against imminent threats, so the logo comes full circle in that regard.